Our mission is to create a “beautiful life” for our clients. We are Bella Vida Salon. Bella Vida Salon is a premier, full service hair salon located in Boston’s Metrowest area. We are dedicated to providing our clients with a hair style that radiates confidence and an experience that exceeds their expectations. When it comes to your hair you need a stylist that you can trust. We listen to our guests and help them make the best decisions for their own hair type. Our cutting edge creativity and expert technique allow us to deliver the very best in every haircut, color and style. The atmosphere in the salon is relaxed and comfortable with a touch of our trendy style. We want each and every client to feel like family, which is why we are very fortunate to have so many happy, repeat clients. 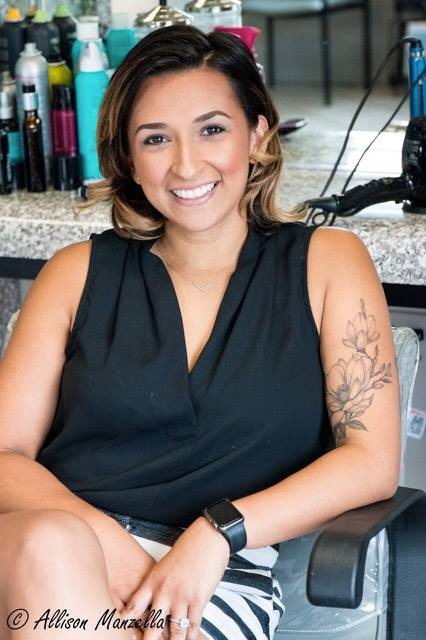 The heart and soul of the salon begins with our owner & master stylist, Nilda Romero. Her passion for making people’s outer beauty reflect their inner beauty led her to open Bella Vida in downtown Natick. She is committed to delivering excellence by focusing on uncompromising quality and unparalleled customer service. Nilda is an expert in color, highlights, cuts & design and has a unique ability to understand her guest’s vision. She has a perfectionist’s eye and a love for both classic and trendy styles. Her hope was to create a salon that truly reflected her personality. With the support of her family, amazing fiancée Chris and wonderful son, she was able to turn that dream into a reality!